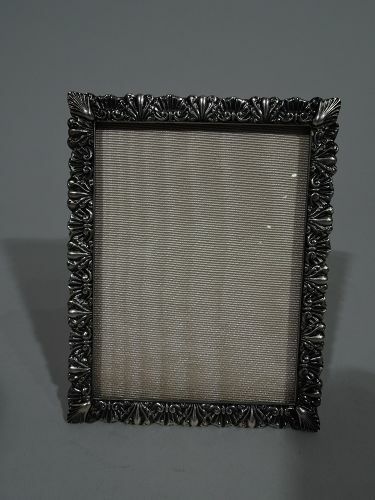 Pretty sterling silver picture frame. 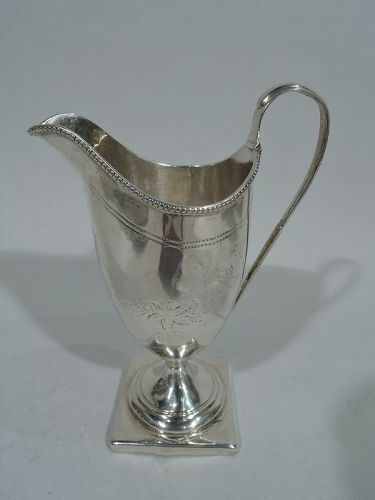 Made by Bigelow, Kennard & Co. in Boston, ca 1900. Rectangular window surrounded by alternating tooled shells and leaves. With glass, silk lining, and hinged silver wire support. Fully marked. Very good condition with deep patina. 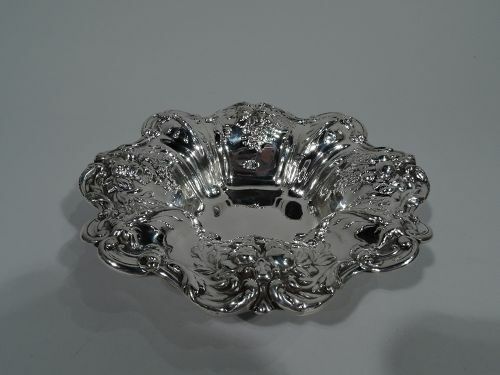 French Renaissance Revival sterling silver bowl in Francis I pattern. Made by Reed & Barton in Taunton, Mass. 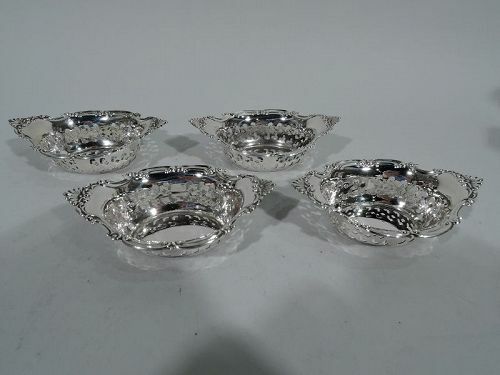 Quatrefoil well and wide flared mouth with wavy scrolled rim. Chased and embossed fruits. 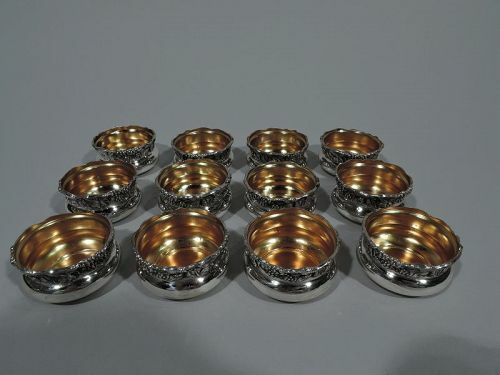 Hallmark includes pattern name and no. X569. Very good condition and heft. 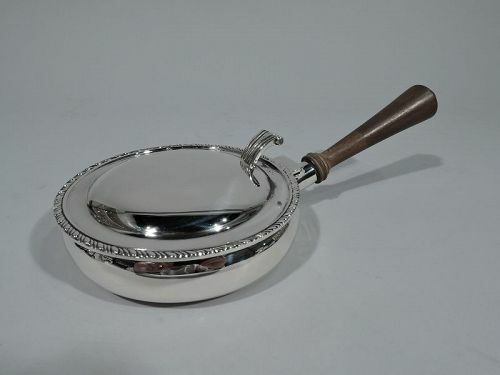 Traditional Georgian-style sterling silver silent butler. Bellied bowl. Cover hinged with gadrooned rim and ornamental thumb rest. Tapering stained-wood handle. Mexican hallmark (1960s-70s). Very good condition. 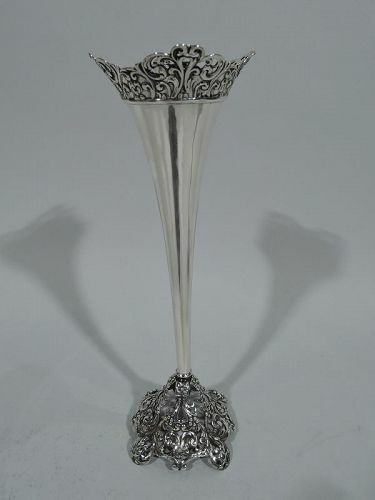 Victorian sterling silver bud vase. 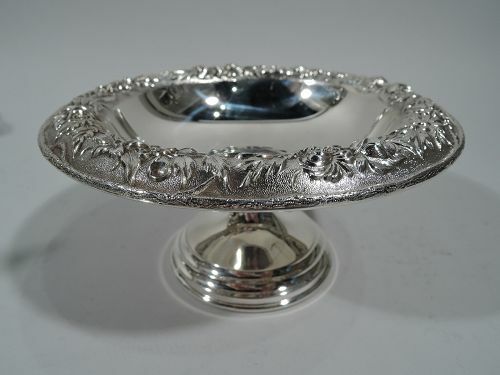 Made by Whiting in New York, ca 1890. Tall and narrow cone mounted to domed foot with loose and vertical scrolls and flowers. 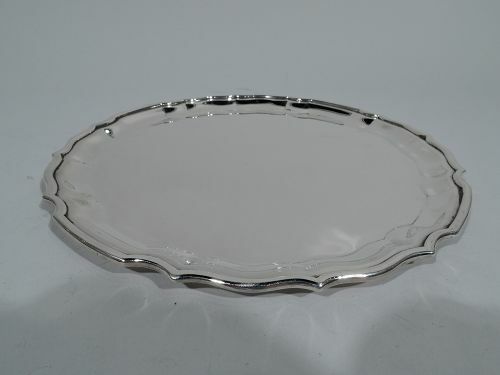 Rim scrolled and asymmetrical with pierced same. Hallmark includes no. 5266. Very good condition with deep patina. 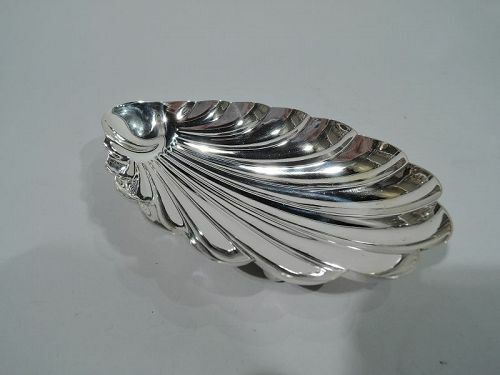 Midcentury Modern sterling silver ashtray. 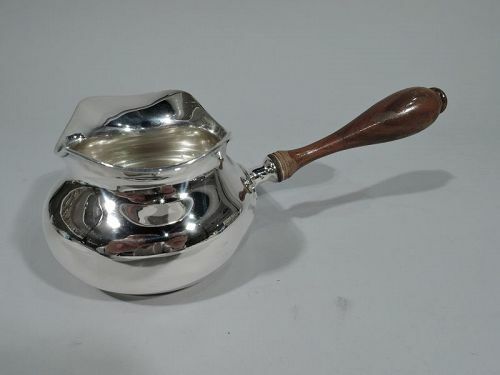 Made by Spratling in Taxco, Mexico. Urn with 3 horizontal cradles and 3 ball supports. Three rows of circles applied vertically to exterior. 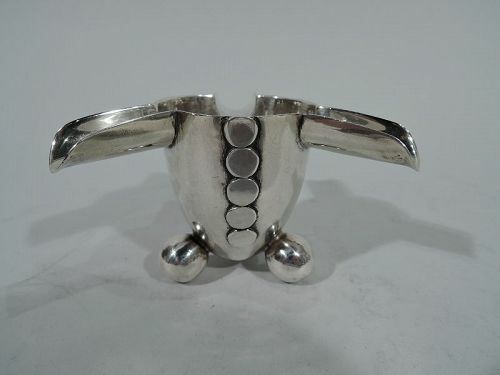 A funny, anthropomorphic design, suggestive of a headless human. 1940s hallmark. Condition: Good with nice patina. Minor dents, especially on supports.